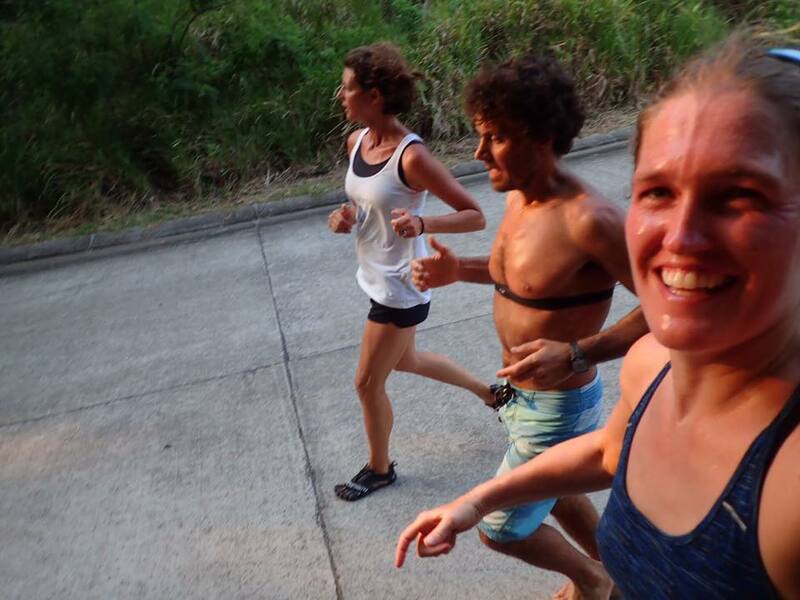 The author, Davide Carrera and Kerry Hollwell running hills during depth training in Roatan, Honduras. Should running be a part of depth training? When to taper? Tapering down during training to peak for a specific event is tried and true. It also works for freediving. Those of us don’t live near deep water, are competing a few times a year (or even less) and need to maximize every stage of training have to pay special attention to our schedules. A very typical 6 month training breakdown looks something like this-working towards peaking at month 6 for the competition. Months 1 and 2: Aerobic and cardio training to build a base of strength and shape. Months 3 and 4: Begin incorporating breathold specific workouts into the cardio trianing. Month 5: Taper cardio training and focus on breathold workouts. Begin incorporating depth training if possible to include underwater tables and workouts other than target dives. Month 6: Begin depth diving and drop all other training. Focusing on target dives. This is pretty much the formula we have used in the past until 2016. This year we tried something different which really worked in our favor both physically and mentally. Instead of tapering early we continued our cardio and strength building training through the last two months leading up to the comp. This means we were still swimming, running and doing some land based breathold workouts throughout our depth training. We felt like the mental benefits of feeling and being strong outweighed our fear of fatigue. Avoiding Fatigue: Fatigue is felt acutely when depth diving. I realized this year that fatigue doesn’t just sneak up on you. The dives feel harder and take longer when you’re tired. If you are taking notes on both the quantitative and qualitative aspects of the dive fatigue is not hard to discern. Because of this you can push the strength training further through the depth phase of the training-relying on your ability to read your own body and the hard data to schedule proper rest days. By tapering less you will become stronger physically, you will gain confidence mentally, you will have much more energy throughout the rest of your day and the rewards will be great as you become more attuned and aware of your body’s strengths and weaknesses. Sometimes to reach our peaks we must crawl through the valleys and really explore what we are capable of. What’s so wrong with being tired when “training” anyway? Isn’t that what it’s all about? Getting in shape and pushing your limits? Set a new CNF world record to 72m-this goal was first interrupted when the CNF record was broken at Vertical Blue by Sayuri Kinoshita of Japan just one day shy of one month before my goal. She set the record to 72m meaning I’d have to attempt one meter deeper than originally planned. No big deal except training proved that the record was still a bit out of reach. No matter. That’s why there are two more goals. Earn national records in all disciplines-I managed part of this goal, receiving records in both CWT and FIM. I ran out of time before trying a second CNF dive for a national record there. Win the comp–The tertiary goal but a goal nonetheless. 4/25: Spent one hour stretching working on leg flexibility and flexibility for arms overhead. 62m CNF again focusing on technique as opposed to worrying about depth. Dropped another hard kick to 8! Still need to tighten up on sink phase, it’s slow. Going to review the video but Davide [Carrera] suggested I stay streamlined with arms up through sink phase. May try that tomorrow. 4/26: Successful 65m CNF. More hypoxic than usual at surface. Attempted sink phase with arms overhead. Sank this way for 10-15m before dropping arms. Sped up dive by 12 seconds! 9 hard kicks instead of 8. Because of hypoxia going to do CWT tomorrow. Going to try 67 CNF Friday with arms overhead sink again. World record broken today to 72m…pressure is on or off?? Ended with stretch session. 4/29: 67 CNF was crap! 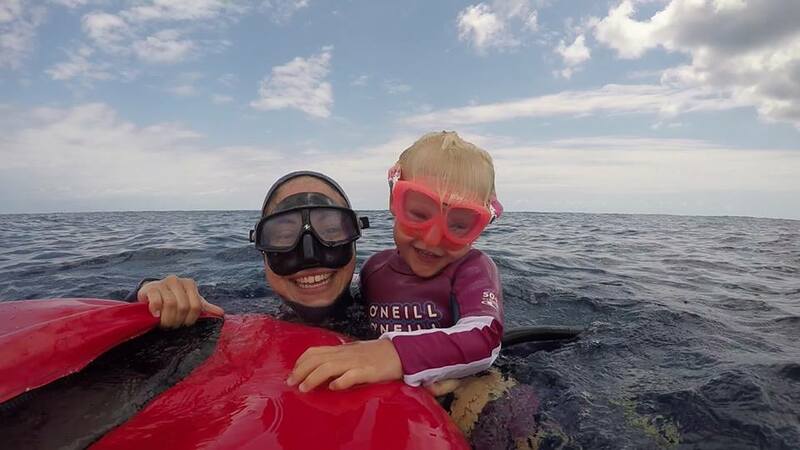 Nervous about dive and first day of menstrual cycle [I know this is personal information to include but for you female divers, I have noticed a difference in my level of fatigue during the first days of my cycle]. Turned extremely early due to equalization which means there was a lot of anxiety. Ugh! Finished with a pretty crappy variable drop. Oh yeah, sucked at that too and cried a lot. 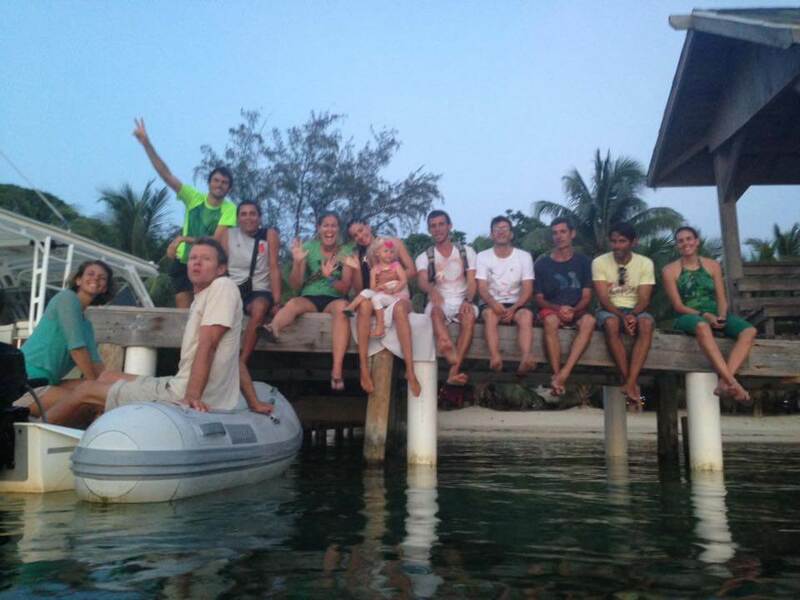 4/30: Because of bad CNF on previous day decided to drop back, have fun and do a CWT dive. Failed this one too. Take home message is give yourself a break and focus on technique in the first days of mensus. Finished session with long open water swim, mostly breast stroke. 5/2: Decided to take a step back from CNF. The pressure sure was making things severely NOT fun. I forget the depth I claimed bit it was a fun and easy dive. Focused on negatives after dive and hit a pb of 25m using constant pressure equalization. Finished session with open water swim. Beautiful day. 5/3: Gunning for 80m CWT. Had extra time at beginning of session so added 3 pull downs (negatives) to warm up. Hit 20m on first one which is really good for me. I usually hit 13 or less on my first negative. Plate at 80. Pulled up short. Had air left but right ear locked up. Best mouthfill management to date! Tried another dive approx. 20 minutes later. Plate at 82m. Hit 80 and turned. No more equalization. Didn’t manage air as well as previous dive. 5/4: Easy day of training. Started with regular warm up and three or four negatives with Ren. Small group and Ani was at school so really had the chance to focus 100% today. Current was up so finished with an underwater table. No fins 5x25m on the 2:00. Usually do it 6x on the 1:30. Felt exhausting but survivable. 5/6: Another day off due to weather. Worked apnea and muscles by cleaning bottom of Jade with Daniel and Carla. Finished with some apnea weights in the water and apnea underwater running (with weights). 6x on negative sank to 4m and swam back up. Did bobs so no breathe up just one breath and exhale (10 lbs). Ran length of Jade at 4m holding 10 lbs of weight. 5/7: Cold and overcast training day. Because of 3 days out of water started with 85m CWT instead of CNF. Messed up equalization at thermoclines (3). Breathed up and repeated dive. Made it deeper but still did not reach goal. Swam with Ani for at least 1.5 hours before beginning warm up. NOT ideal training conditions. 5/8: Time to get back into CNF dives. Started day with 60m. Will attempt 65 and 67 in consecutive days without Ani aboard. Dive was physically tiring but they all will be. Planning to do 3 targets per week while Ani is at school or at Carla’s. I’ll use the other 2-3 days for shallower dives. 5/9: CNF 65, beautiful dive. Strokes down were efficient and 2:51 dive time. 5/10: Best 65 to date. Strokes to 9 [hard] and 4 [soft]. Sank 20 seconds with hands overhead then one more pull to drop arms. Sink phase nice. Head super tucked on both descent and ascent. Kept dive time down. Still a little hypoxic feeling at surface but not going to worry much about that. 5/12: Was going to do a light 60 or 63 CNF to come back after a rest but wind was honking! Tons of current and bad dive day. Changed dive plan to 80 FIM. Sloppy dive all around. Bad conditions, good workout. 5/13: 67 CNF attempt. Dive started beautifully but nose clip fell off! Must use different nose clip and attempt tomorrow. Open water swim. 5/14: Failed 67 CNF attempt. Uncomfortable at depth and messed up equalization. Too much anxiety with this number. 5/15: Easy, light day with Ani. Just worked on some weighting and decided to take the neck weight off completely. Tried hard kicks to 15m and ended up with 9 strokes, same as with weight. Speed felt the same. Will try next dive without weight in hopes of making ascent easier. 5/17: Took the day off of depth diving but still went out to teach Walter. Made several pull downs and dives between 20-25m. Good movement and good idea staying in the water. Lack of sleep-going to bed late with middle of the night interruptions by Ani. Waking up early. Diet–I haven’t been eating meat so decided to eat a while half chicken the night before my 69. Good lesson learned. Best to eat light! Had the runs all morning and even had to evacuate in the ocean RIGHT before my dive. NOT ideal conditions. Ani had the runs too so no Creole’s chicken during training or comp. Daniel [Aries] and Miguel [Lozano] both talked to me about the diet issues and confirmed that what I had the night before was completely unacceptable! Whoops…. Low grade anxiety-This is challenging enough in itself much less with the other two added issues. One of my favorite parts of training was taking time off in the afternoons to spend with my buddies, the other athletes. An amazing group of people! ! As you notice, I did not work out and swim every day but I did sprinkle in additional workouts throughout the last month of training. I’m not sure why I stopped taking notes on 5/18 but I’ll disclose that I did attempt another 69m CNF with another black out. The worst of my life. Despite training, I think I need a little more strength before working up from 67m. Suggestions and/or comments regarding the above methodology are welcome! What do you guys think? Taper or just keep chugging along?